News of the grounding of SA Express’ 22 aircraft was well publicised. Mzimela reportedly told the board committee the airline would be operating 15 aircraft by end April; that raises the question – what has happened to the other seven aircraft? 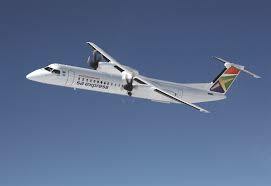 By targeting workers instead of ensuring the remaining seven aircraft are compliant with South African Civil Aviation Authority (SACAA) safety standards, Mzimela is picking low-hanging fruit. This tends to happen with managers who lack ideas and are overwhelmed by the task at hand. Moreover, deciding to downsize the staff compliment without consulting social partners to explore alternatives is an indictment on management. It demonstrates a lack of understanding of the importance of strategic social partners.